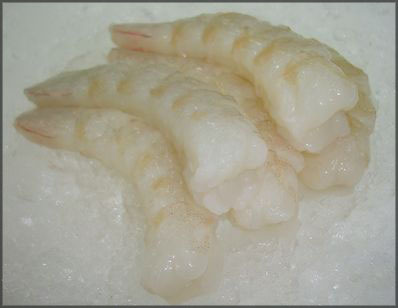 A popular prawn specie that presents well, Banana prawns are available year round, with the peak catching period April through to June. WA Seafood Exporters fleet of prawn trawlers and our Perth based factory fully comply with Australian Quarantine Inspection Service (AQIS) requirements, and are approved for export to the European Union. Our fishing vessels operate in the Northern Prawn Fishery, located across the Northern coast of Australia, from the Gulf Of Carpentaria in Queensland to the Kimberley's in Western Australia. Copyright © 2011 WA Seafoods. All rights reserved.